Every year Hess comes out with a one of a kind car, truck or something motion that kids around the world ask for by name, and every year they sell out before the holidays. Get a head start with the new Mini Collection. From its first release in 1998, the Miniature Toy Truck program was designed for easy collectability. Each spring Hess released one new miniature truck, each a fully detailed, small-scale version of one of the prior Holiday Toy Trucks, equipped with working lights and a detachable display base. 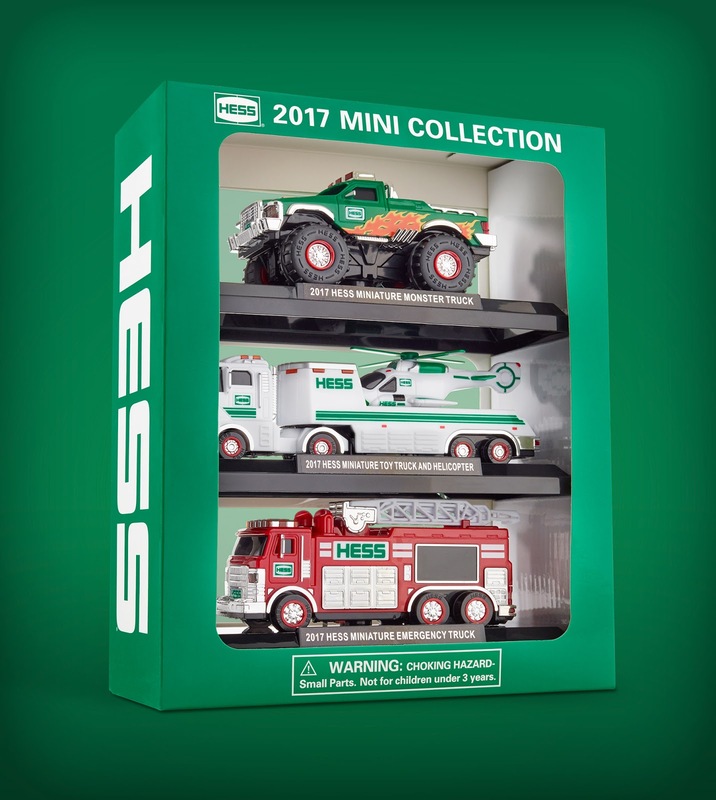 With decades of Holiday Hess Toy Trucks long since sold out, the mini allows newer fans to get the full collection, including older models. It also provides a great gifting opportunity outside of the holiday season, often used for Father’s Day and birthday gifts. The 2017 Mini Collection relaunches the program in a reimagined way: a limited production, three-vehicle set that lets fans build their collections even faster. Also making for a great holiday gift that you can get a head start on. I love to collect the Hess Trucks as they have been a huge part of my life growing up. I enjoy the fact that the new mini collection lets you catch up and they take up less space which is great for collecting. I really love the trucks which come with a plane, helicopter or such on back, I feel as though I am getting 2 toys in one. 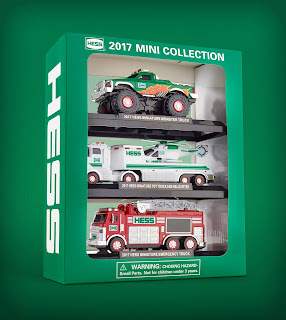 You can find the all new Mini collection for 2017 at your local Hess gas station and online here.